We were raised on fairy tales, loose parts and pocketknives. Our breakfast cereal was robbery served in refrigerator cardboard boxes. We treasured “potential-filled junk”. We were inventors, heroes, bad guys, prisoners and monsters. Someone suffered - tragically. There were bruises earned by freedom and exploration. We lunched on possibilities and inspiration. We roamed mountain tops and captured flags. We hated, conspired, plotted, and betrayed. We explored the bitterness of guilt, and discovered the sweet capacity to forgive. We suffered courageously, dangerously and creatively. LISTEN TO “Mr. Balloon!” - COGNITIVE KRYPTONITE? 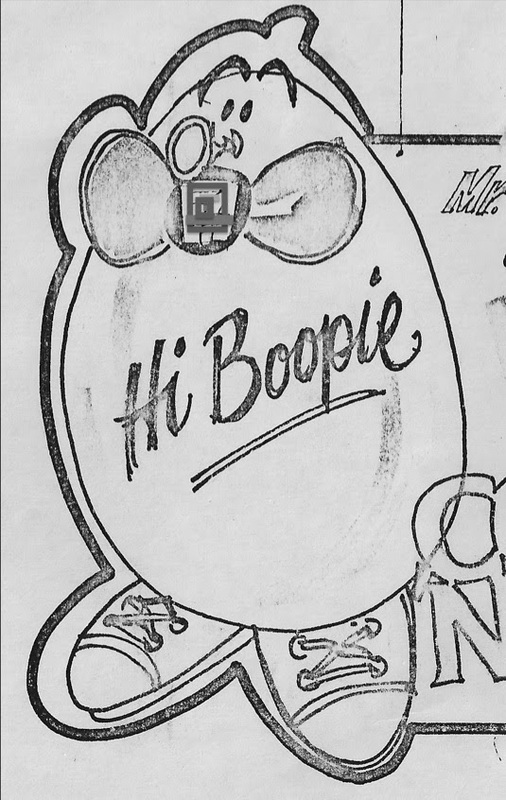 “Hi Boopie! Mr. Balloon, here!” I’m a cute and seemingly harmless radio “puppet” which I created in the mid 1980s for a c-store client. Despite the reality of your local c-store: dirty floors, a clerk who can’t speak English or overpriced products, “Mr. Balloon” suspended doubt like cognitive kryptonite. Creating funny ads is a serious business - the title of my Master’s Thesis was: “The Use Of Comedy in Radio Advertising To Overcome Cognitive Dissonance.” In simple English this means my research was going to test whether or not radio comedy ads can help overcome doubt and cause audiences to buy stuff. I never finished the thesis because I was busy writing radio comedy ads and selling lots of stuff for major corporations, no analytical research required. I am disincarnation – the gradual grapevine step that you make as you dance your way off the stage of life. I’ve been in the script for years – you’re only just now beginning to notice my entrance. Perhaps it was the wrinkles? Maybe a little arthritis around the edges? Some hair loss, mmm? And the menopause ads seem more present. Your vitality and health which for all these years lived deep in your skeleton is now packing up and going to Florida. All your hormonal doo-dads are beginning to pack their bags, too. They know that you are watching the commercials which suggest that their sell–by date is approaching. They will be replaced by hormonal treatments as offered by the young, the virile and the buxom sales team on the telly. (Truthfully, with the exception of big-time pharma for men with E.D., this is the same stuff that's been offered since the late 1800s to generation after generation with similar results. You do age. You will die. Still spending money and applying creams will give you and me something to do and pass the time while you disincarnate! I am a volunteer at a maximum security prison in Jackson, Michigan. For ten years I have been teaching a weekly course designed to give my students greater inner freedom through self-control. After I put my belongings in a locker, I’m wanded, go through the metal detector, and I’m issued a “panic” alarm for my belt. Then the 1-inch thick iron gate rolls shut behind me and I am within an atmosphere of power and a technology of control. I have assigned away my freedom while I am inside. I am under the control of the system. I must do as they direct. This is not anonymous power. Once while attempting to gain entry to a class in a prison in Pennsylvania, due to a mistaken identity, I was strip searched. One must be able to practice what you teach. The Wiser Person within us watches while we are riding the wave of our 20’s – a time during which we feel we can do ANYTHING. This feeling is true because for many, the early 20s maybe under the influences of others: parents, family, school, sports, or other activities surrounding natural abilities with which we have been born and in which we are encouraged to pursue. By about age 28 many people reach the limit of this world. We can feel these capacities begin to diminish – or we grow jaded and we sense we need a new direction in which to grow. This is when the Wiser Person within us brings situational limitations or our personal short-comings to meet the demands of our future destiny in order to help us prepare to become. In many biographies, this prompts a crisis which happens at about age 28 which is called THE CRISIS OF TALENT. Will we find a source of renewal of our “gifts” and natural abilities from the past? Or do we feel compelled – even driven - to break out and attempt to radically change ourselves?